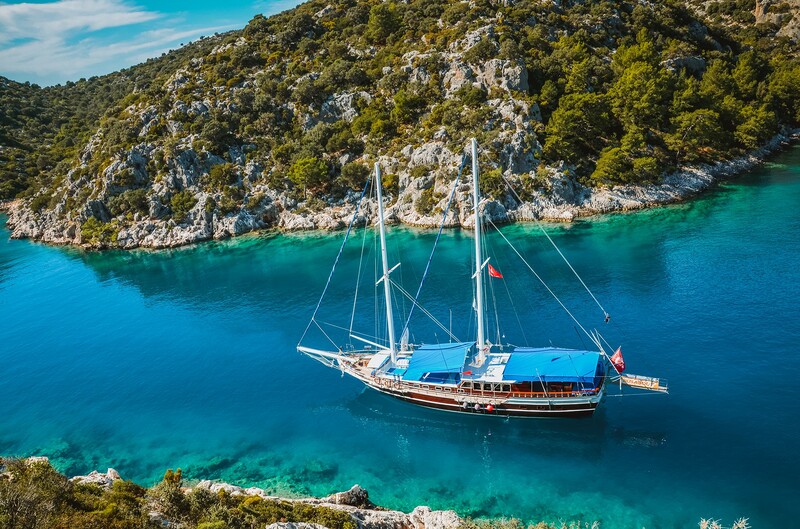 Experience the breathtaking natural beauty and historically-rich towns of the Turquoise Coast on a Turkey yacht charter. 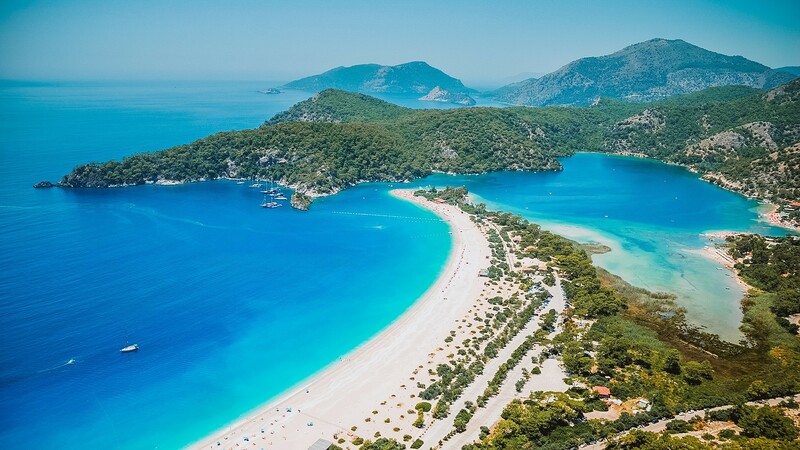 Experience the buzz of Antalya’s beach resorts and the ancient ruins of Myra, then go shopping in the cobblestone streets of charismatic Kaş. 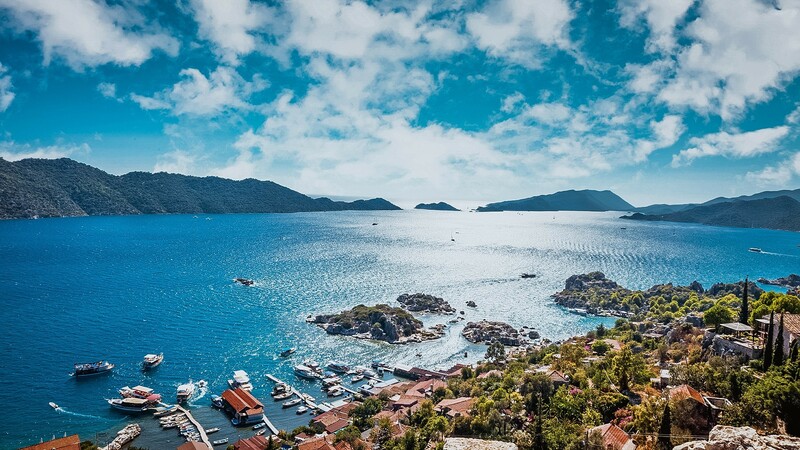 Marvel at the semi-submerged ruins of Kekova, explore the vine-draped Lycian metropolis of Olympos and cruise through the spectacular 12 Islands that dot Fethiye Bay. 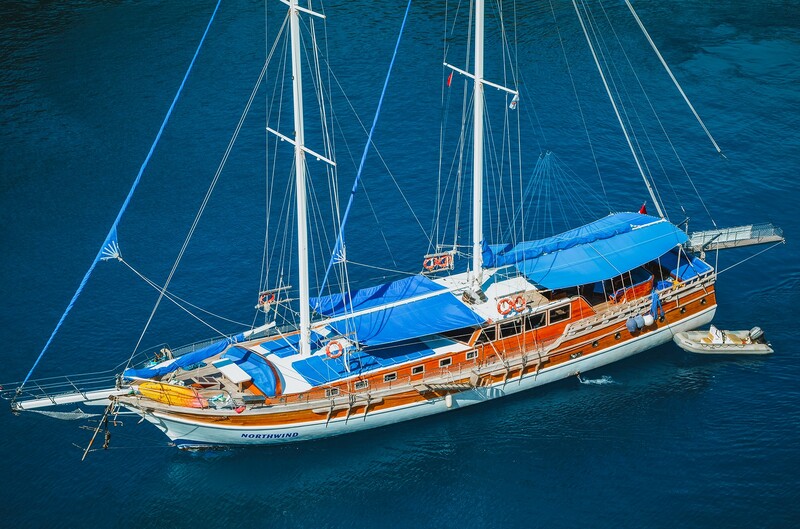 Flora's interior layout has 7 rooms and can carry up to 14 guests and 2 crew onboard to ensure a relaxed Standard Yacht experience. 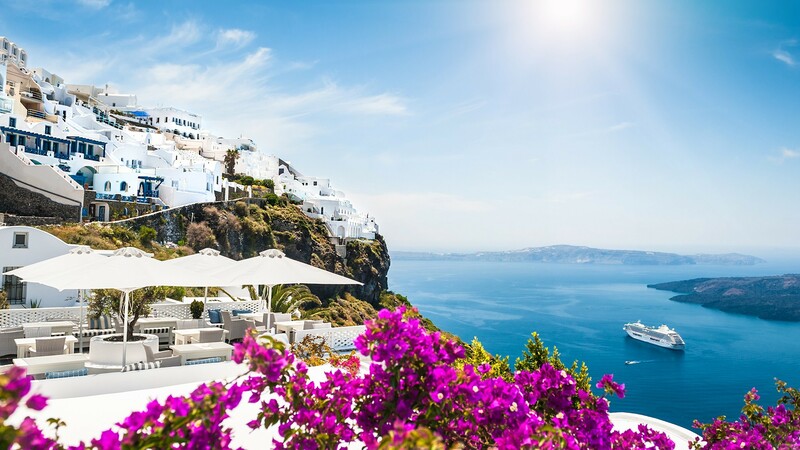 Flora yacht has a Standard design, glamorous furnishings and lavish seating feature throughout to create an elegant and comfortable atmosphere. Cheers's interior layout has 7 rooms and can carry up to 14 guests and 3 crew onboard to ensure a relaxed Standard Yacht experience. 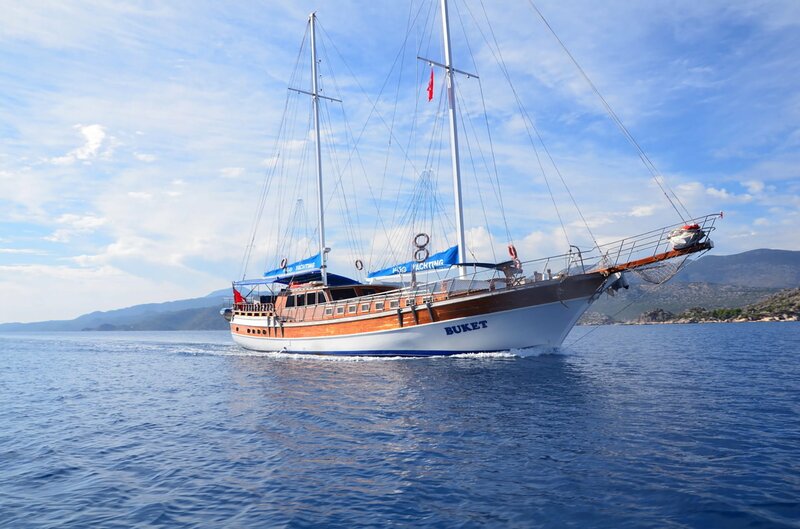 Cheers yacht has a Standard design, glamorous furnishings and lavish seating feature throughout to create an elegant and comfortable atmosphere. VGO's interior layout has 8 rooms and can carry up to 16 guests and 3 crew onboard to ensure a relaxed Standard Yacht experience. 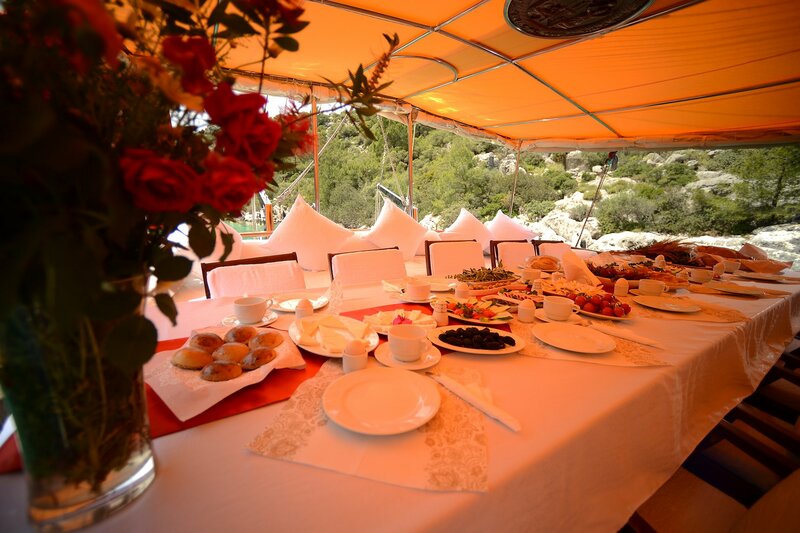 VGO yacht has a Standard design, glamorous furnishings and lavish seating feature throughout to create an elegant and comfortable atmosphere. North-Wind's interior layout has 8 rooms and can carry up to 18 guests and 3 crew onboard to ensure a relaxed Standard Yacht experience. 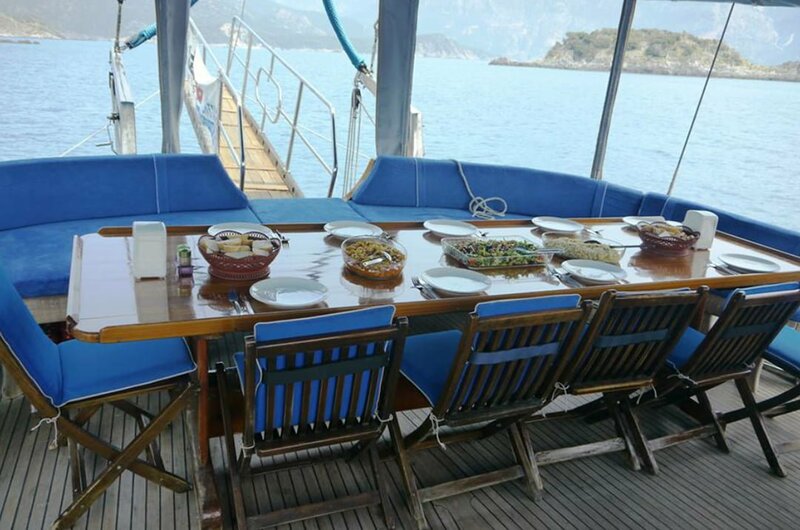 North-Wind yacht has a Standard design, glamorous furnishings and lavish seating feature throughout to create an elegant and comfortable atmosphere.